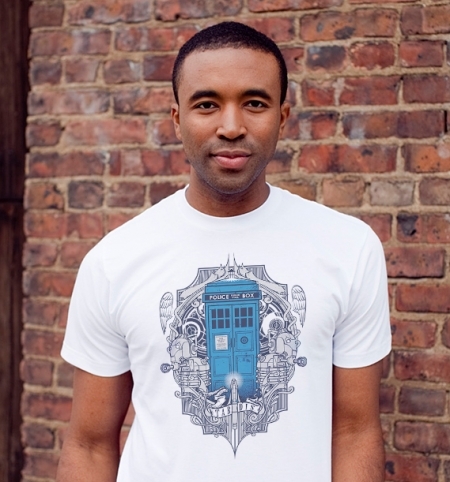 Don’t let the creative spelling throw you off because the Doctor Who T4RD1S T-Shirt does actually let you wear the TARDIS on your chest, along with a few other Doctor Who goodies. 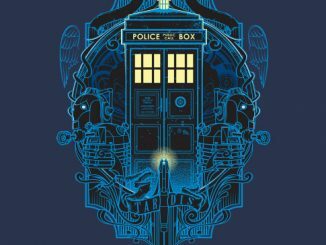 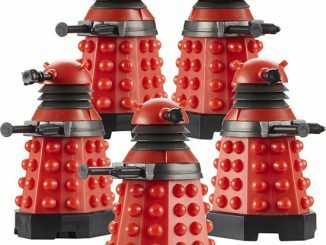 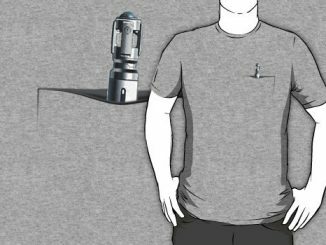 StudioM6 brings us some eye-catching Whovian art filled with iconic characters and items from the popular Doctor Who television series. 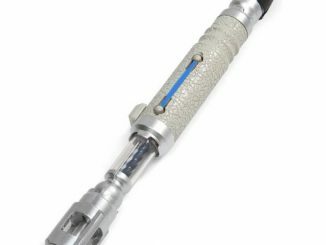 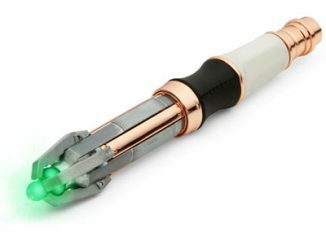 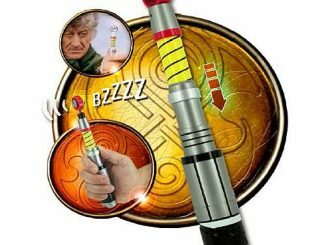 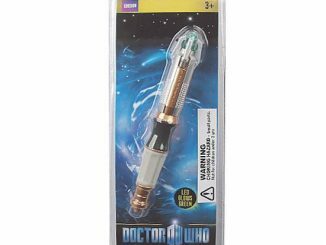 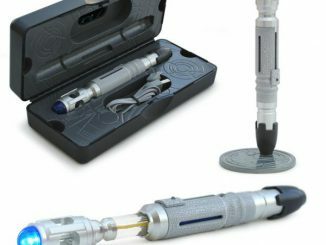 Along with the familiar blue police box, we also get a sonic screwdriver, Cybermen, Daleks, some Gallifreyan script, and a pair of wings that could only belong to Weeping Angels. 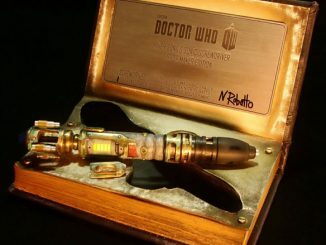 You might also notice the little hashmarks on the door of the TARDIS, indicating that the Silence has been around… although you probably don’t remember them. 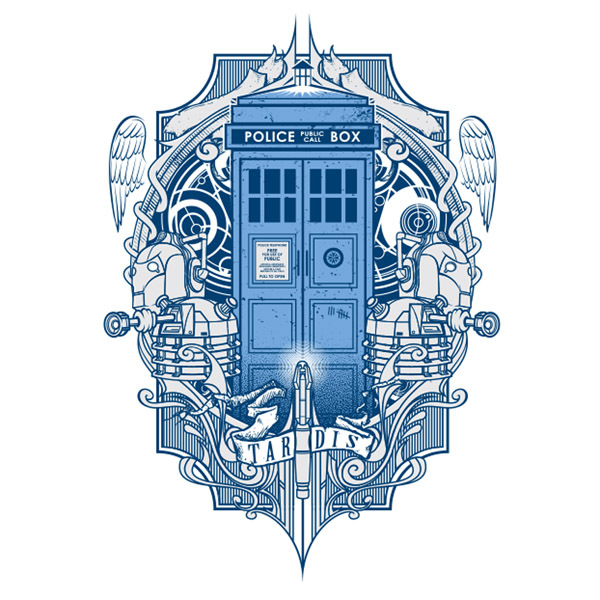 The Doctor Who T4RD1S T-Shirt is available for $20 at BustedTees.